Lehmannia ocymoidea Jacq. ex Steud. Lumnitzera ocimoides Jacq. ex Spreng. Lumnitzera polystachyon (L.) J.Jacq. ex Spreng. Moschosma dimidiatum (Schumach. & Thonn.) Benth. 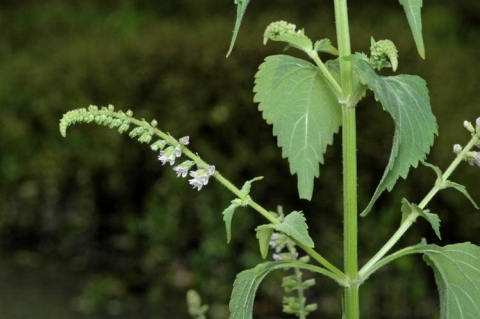 Ocimum dimidiatum Schumach. & Thonn. Tropical and south Africa, through the Indian Ocean, tropical and subtropical Asia to Australia.